Prolife.com - The leading source of Prolife content! At Prolife.com we believe every person matters from the moment of conception. Our goal is to inspire, educate and inform visitors on the beauty of life. From helping mothers get the help they need for their unplanned pregnancy, to helping console those who lost a child though abortion, to providing resources for families to offering the latest pro-life news. We hope to be your one stop shop for everything pro-life. You may be surprised to find out these celebrities stories. This is one you don’t want to miss. Truly inspirational. Planned Parenthood caught on Hidden Camera selling aborted babies. Shocking “undercover” videos go viral. Join in cities near you!22 Foreign Languages with pro-life stories, news, videos and info! Watch VIDEO online – Click Here to see our short new videos on abortion featuring famous Latino actor Eduardo Verastegui. Sometimes called the “Tom Cruise” or “Brad Pitt” of Mexico, Eduardo recently starred in the movie BELLA, before that Spanish soap operas (telenovelas). See both ENGLISH and SPANISH versions of this new pro-life video. (Graphic Warning – Must be 18 to watch this video.)Pregnant? Considering abortion? Eduardo’s video is a must see, especially now, when you can get the facts BEFORE, not after you’ve had an abortion. Students, teachers, pastors, parents and civic leaders are watching and showing this unforgettable video.Plus… watch and see Eduardo holding one of the first babies this video helped him save…When a girl has a “crisis pregnancy,” it’s time to LOVE THEM BOTH… both mother and child. If you agree, please consider donating to help us reach more young people with our web site, withEduardo’s video… with pro-life speakers… with our amazing 32-page LoveMatters youth publication featuring many pro-life celebrities… 2.5 millionLoveMatters newspapers have already been distributed (most for FREE), yet many more students urgently need copies so they won’t abort their babies. See our LoveMatters publication here. pay only shipping and handling. 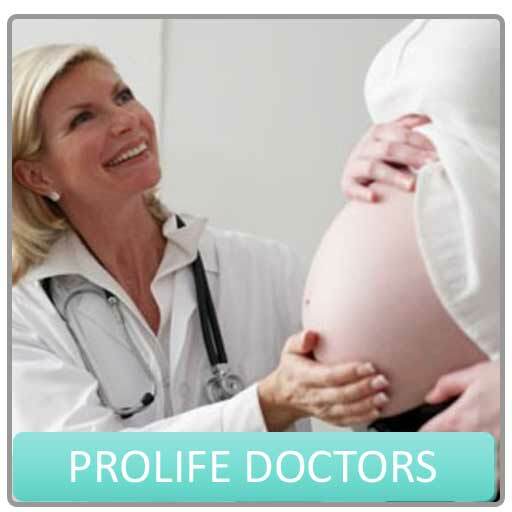 Call Prolife.com 424-247-7490Videos – Prenatal Development, 4D Ultrasounds, photos and timelines! Fr. Frank Pavone is our national advisor for this LoveMatters.com newspaper project and he’s already helped us distribute more than 2.5 million copies. But millions of new high school and college students need to see this powerful pro-life/chastity newspaper ASAP, including students in your area. You can make a big difference in their lives! You can help put this life-saving newspaper into the hands of high school and college students on campuses and at churches across America, and in your city. Recently, we distributed30,000 copies at 48 Catholic high schools throughout the Archdiocese of Los Angeles. Touched by An Angel executive producer Martha Williamson produced a dramatic show about a woman’s experience with abortion. Did Martha’s own personal experience inspirethis show? Hope and Healing After Abortion: If you or someone you love is suffering from the pain known as post-abortion syndrome, help is available. Caring counselors, many of them women who’ve had abortions themselves, are available to help you. If you would like to talk to someone who cares, to someone who can help you begin the healing process right now, call toll-free; 1-800-848-LOVE or 1-800-593-2273 or 1-888-217-8679. You can alsoclick here to read what Lisa Burroughs says about her two abortions and how talking to a counselor helped her begin the healing process. This site is dedicated to helping you find TRUE LOVE . . . to bringing you the truth about critical issues dealing with relationships — as well as life or death issues like abortion and sexually transmitted diseases (STDs). We want you to have the FACTS so you can makethe best decisions possible for yourself, especially when the CHOICES are difficult and the consequences are long-lasting. What about masturbation? You can read two answers to this important question, one atwww.goodmorals.org and the other at Living Tradition. RADIX videos – These videos by RADIX are two of the most amazing, unique, powerful, hard-hitting videos ever produced on purity and holiness. The video titles are: “How Far Can You Go? Unpacking the 6th and 9th Commandments” and “The Meditation of the Passion of Christ.”RADIX is a very talented YOUTH OUTREACH GROUP that’s performing for youth across the country at conferences, churches and schools. If you only buy two videos this year, these are the ones. Students, parents, teachers, youth groups and pastors are raving about RADIX. These life-changing presentations are unforgettable. Your family and friends will thank you for sharing RADIX’s messages on holiness and sexual morality with them. Order yours today!